Thackeray Box Office Day 5 (Hindi + Marathi): The Nawazuddin Siddiqui starrer is staying on to be the third choice of the audiences. The film collected 2.50 crore* in its Hindi and Marathi versions combined together which indicates that the footfalls have slowed down. Given the merits, it should have been doing better. However there is too much of competition and currently the film stands at 28.40 crore*. Actress Amrita Rao says she was apprehensive about taking up the role of Meena Tai Thackeray in the biopic of late Shiv Sena supremo Bal Thackeray in Thackeray because it involved age transformation from a teenager to a 60-year-old lady. Meena Tai, wife of Bal Thackeray, never came into the spotlight. While finding a reference point was challenging for the actress, talking about other difficulties in playing the role, Amrita told IANS: “My character in the film has a wide graph from when Meena Tai gets married to Bala sahab as a teenager and it goes on from her 20s to her 60s. 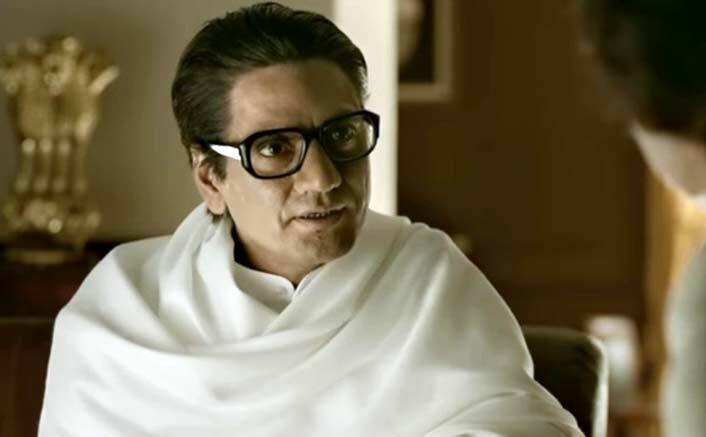 The film Thackeray, written by Sanjay Raut and directed by Abhijit Panse, features Nawazuddin Siddiqui as the main lead. The post Thackeray Box Office Day 5 (Hindi + Marathi): Footfalls Slow Down! appeared first on Koimoi.